A huge modern hut put in between (now removed) Harris Creek Hut and (now removed) Avalanche Flats Hut. Approximately five to seven hours from Mangahao Dam. The hut has inside water and sink, classic DOC wood burner, table and sitting. 16 bunks with mattresses. New windows let in a huge amount of light and the views from the hut are fantastic. Plenty of wood from nearby river and wood shed with axe. Huge covered deck area that provides shelter in unlikely event of full hut. Also great camping area below the hut and next to river. 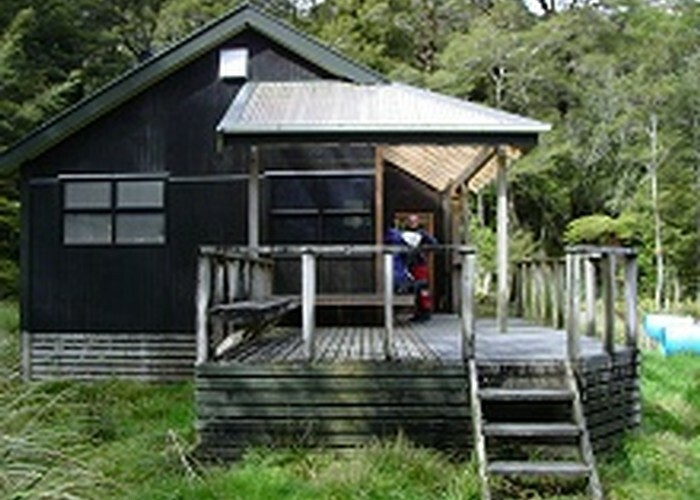 Mangahao Flats Hut,Tararua Forest Park • By tararua. From Mangahao dams or from the south via Te Matawai Hut, Arete Bivouac, or from Ohau River. Added 8 June 2008 by HaqiiHaqii. 4 revisions, most recently 22 June 2008 by HaqiiHaqii.